Everywhere we live, sleep, play, and breathe we are surrounded by Nature’s poisons. From poisonous plants and deadly mushrooms, to venomous snakes and anthrax toxins. Mother Nature clearly isn’t happy with us. And I can’t say I blame her. There are thousands of plants that are poisonous to humans (and animals). For instance, apple seeds contain amygdalin, a cyanogenic glycoside. When metabolized in the body, primarily the gut, it creates hydrogen cyanide, a chemical that was frequently used in gas chamber executions. You would be hard pressed, however, to consume enough apple seeds to bring about distress or meet your demise. As for poisoning someone else? “Here, Honey, have another bowl of apple seeds.” Not likely. 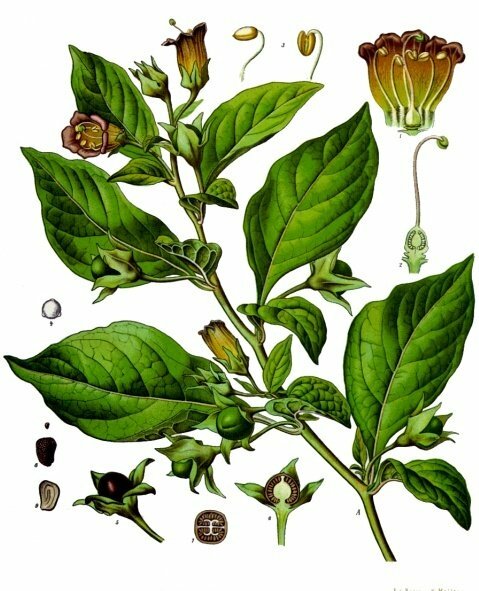 But from these thousands of plants there are several dozen that are extremely deadly, such as Atropa belladonna , commonly known as Belladonna or Nightshade. Every part of this plant contains dangerous tropane alkaloids, with the berries being the most lethal. The berries could be inviting to children, and as few as two berries enough to kill them. Some of these individual alkaloids, when used in the right dose, are beneficial and lifesaving, like atropine. Atropine is administered during resuscitation to jump-start the heart in emergency situations. Another Belladonna alkaloid, scopolamine, was used by the infamous Dr. Crippen in the 1901 murder of his wife. It all depends on the dose and the intent. Plants aren’t the only ones that want to harm us, that would be too easy. Mother Nature: I’ve got a great idea. Father Nature: What’s that, Hon? Mother Nature: I’m too impatient to wait for these pesky humans to eat our plants. Father nature: So what’s your idea? Mother Nature: Let’s take something poisonous, and make it mobile. So that brings us to the venomous ones of the animal kingdom. The snakes, insects, spiders, lizards, fish, and jellyfish of the world. Remember learning that garter snakes were non-venomous? Well, they lied to you. Sort of. Garter snakes do have venom, just not an adequate way of injecting it. Stubby fangs, you see. 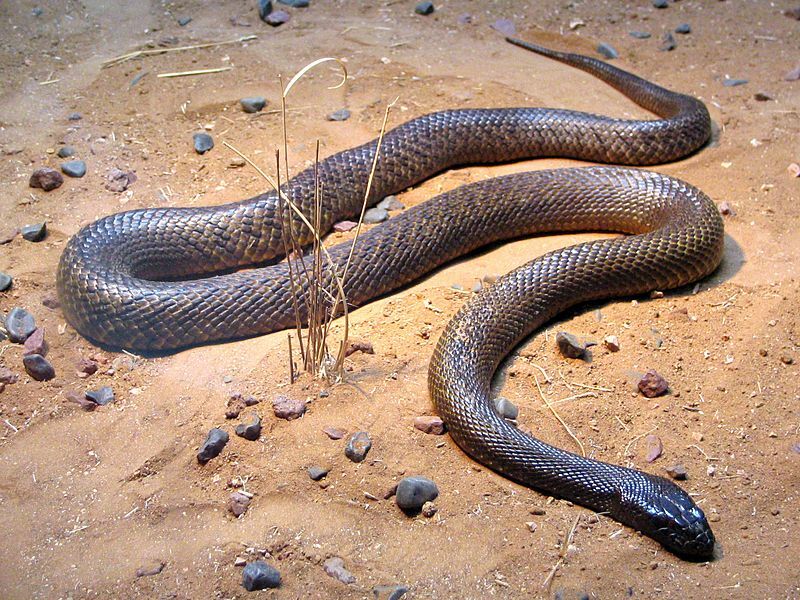 Now, the Inland Taipan snake? That’s a killer. Found in the interior of Australia, it is among one of the most venomous snakes in the world. It’s venom contains a mixture of peptides and proteins, with one of them being taipoxin. In short, taipoxin is a neurotoxin and victims die of asphyxiation due to paralysis of their respiration system. About 2 milligrams of venom would kill an adult human. Did I mention that the average bite injects over 40 milligrams of venom? Best to carry that antivenom with you. Yes, that’s a real thing. Scared yet? I am. But that’s just not good enough for old Mother Nature. Old? I meant young. She looks great. Really. She realized that humans have legs. We can run pretty fast when we need to. So she rolled out the Ninja of the poisons: the biotoxins. These are poisons that you don’t even see coming. You’ve got anthrax, by way of a microscopic bacteria that can lie dormant for centuries. Once inhaled or ingested they awaken from their slumber, multiply, and wreak havoc. There’s also maitotoxin, produced from a dinoflaggelate (plankton). Little fish eats the plankton, bigger carnivorous fish eat the little fish, we eat the big fish, we get sick and potentially die. Who’s top of the food chain now? Ninjas. So there’s a lot to know about Nature’s poisons, and we didn’t even cover elements. We’ll cover those, and the differences between a poison, a venom, and a toxin – they aren’t exactly interchangeable – at a later time. Until then, just be nice to old Mother Nature. I mean mature Mother Nature. I’m so doomed. Tags: poison, toxin, venom. Bookmark the permalink.